New Event/New Contact Add a new event or contact here. Calendars takes you to Calendars view. Contacts takes you to Contacts view. Preferences lets you change the look of the display, including text size, theme and time display (24-hour or am/pm). Change the interval the Android synchonizes with the internet server here. 15 minutes is default. Subscribe/Share takes you to the My ClearSync home page. This page is where you share calendars and contacts with ClearSync users. 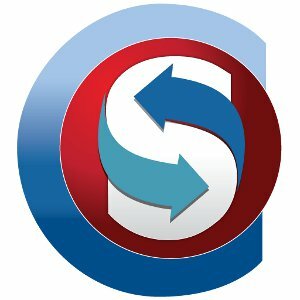 Add an existing account to your ClearSync Android app. Create an alias for an account name. Calendars or Contacts goes to that view. Jump to Date . Opens a quick calendar selector. Tutorial starts a 5-step introduction to the ClearSync Android app. About provides version information, in case you need to contact ClearSync Support. Exit closes the ClearSync app. Select Preferences . This dialog lets you control whether the auto sync feature is on or off. (Auto sync is when your desktop ClearSync application establishes communication with the ClearSync internet server and synchronizes calendars, contacts and events between you and others you share resources with). The default sync interval is 2 minutes. You can also change the interval (time in minutes) when auto syncing occurs. First calendar is default for all new events. Font size for event display. Add a new ClearSync user account to your ClearSync application. Delete an existing user account from your ClearSync application. Change Alias lets you create another name for your account. This allows you to keep your ClearSync User Name confidential on your phone. Modify the Proxy Settings for the account. Select MyClearSync Home . You are redirected to your MyClearSync home page. This page is where you share calendars and contacts with others.